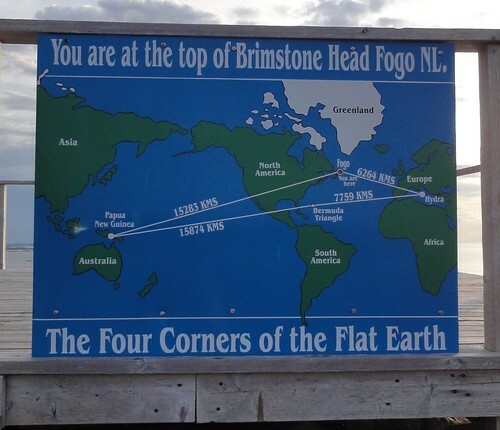 All Around the Circle, part 2: If you gogo to Fogo…. 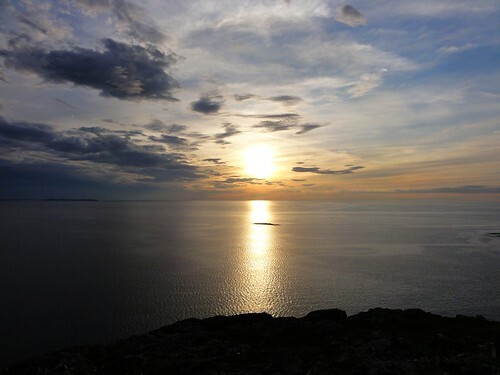 As I mentioned in an earlier post, we three intrepid travellers set out to go “All around the circle,” this summer, after spending three weeks on Exploits Islands. 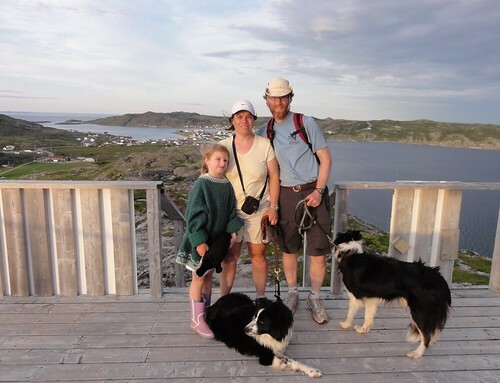 When last we left off this saga, the Family Taylor-Hood had finished Twillingate and was about to embark upon the trek to Fogo. 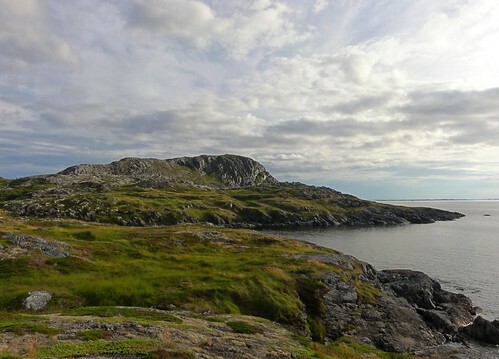 First off, there are some things you should know about Fogo Island. 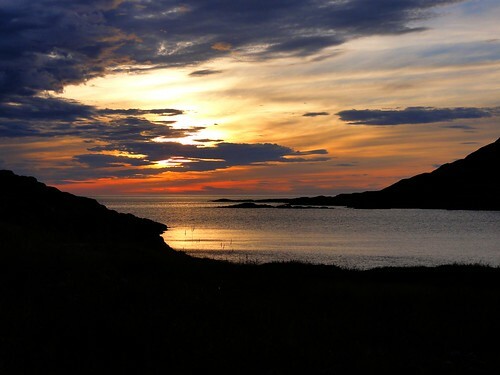 Fogo is a stunningly beautiful place that is hitherto mostly untrammelled by tourism and still in possession of its cultural integrity; people live there now in many ways as they have lived there for generations. Everyone knows everyone else. It is also an island. This last statement is one that sounds obvious to anyone who has seen a map, but it is a more profound concept than visitors realize. 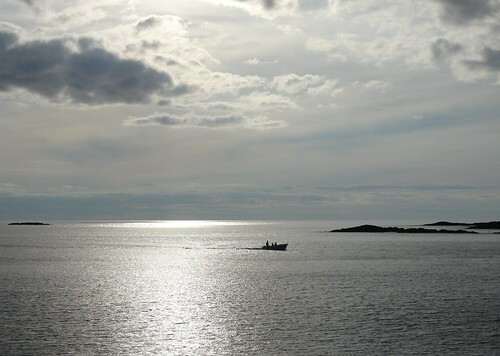 Fogo (and Change Islands, for that matter) are islands, physically, spiritually and culturally. Having just come off Exploits (also an island) and being used to the life there, we didn’t really realize what this meant until we got home. Everything moves more slowly on islands. It takes time to get there and even more time to get off. 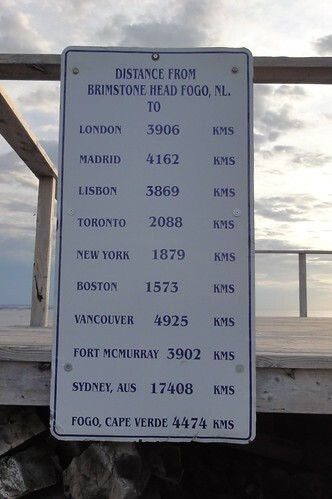 There are fewer amenities and therefore fewer pings on your time; anything you want must be grown, naturally found or brought there via ferry or other boat. The pace of life can appear casual and laid-back to visitors accustomed to constant interactive contact with everyone worldwide 24-7. Symbolically, islands are often seen negatively and thought of as isolated and detached, lacking in connectivity and set back in time. The flip side of this stereotype is the one that people often neglect to mention, namely that islands are protected by their isolation, communities are relatively intact due to their reduced proximity to the outside world and the society is as in-step with contemporary culture as the inhabitants choose to be. 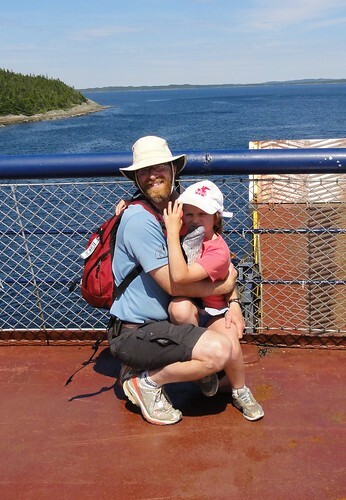 The ferry trip to Fogo was inexpensive, at $22 return for our small car, two adults and a child. We sat in line at Farewell (on the mainland) for an hour or so prior to leaving. There is nothing to do at Farewell, so if you go, plan accordingly. There is a very small terminal building with a pay phone, a drink machine, washrooms, a few chairs and a water cooler. The ferry ride itself is relatively quick. I believe it took us around 35 minutes, one-way. Prior to leaving, we had stopped at the tourism kiosk near Twillingate and grabbed some info about Fogo, including a flyer with campsite info. We had no reservations, but figured that if stuck, we’d haul off into the brush somewhere and pitch our tent. Our first priority was to FIND the camp location. 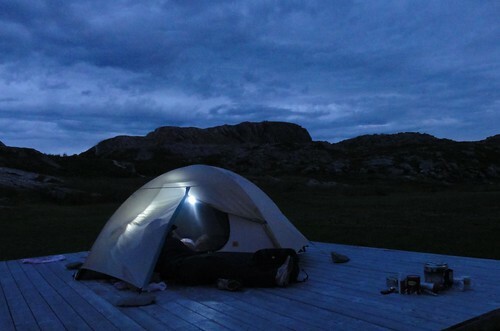 The flyer did not indicate where we were to go, other than that the Lion’s Club provided campsites, so we dipsy-doodled around Fogo Island for an hour or more. We stopped for ice cream at Growlers in Joe Batt’s and had some absolutely mouth-watering home-made blueberry ice cream. Be warned! Many places in Fogo only take cash, so bring some (note: the only bank machine on the island is a ScotiaBank in the town of Fogo. Businesses that DO accept plastic in Fogo do not do cash-back on Interac transactions)! After eating our ice cream, we decided to trek on and find some more nourishing food. Along the main road we spotted The Island Bake Shop, so we stopped in. The food was decent (beans and toutons, sandwiches and soup), the service was lovely and we met a nice family of geocachers and exchanged co-ordinates. After setting up the tent, Katherine took a dip in the cove and then we we started up the hill. Found a perfect swimming rock. We wandered to the top and chatted with a few tourists and locals. The view from the top was nothing short of spectacular. At a corner of the earth - don't fall off! The next day we drove around a bit, intending to hike a trail or two. Since it was Sunday, nothing was open before noon and even after noon there were fewer businesses open. We wandered through a living culture museum which, even though closed, was pretty neat. 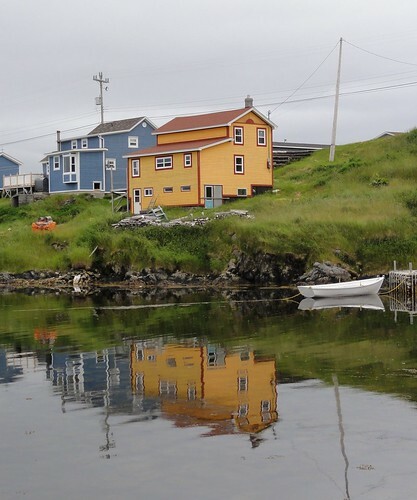 And brilliantly-coloured houses, reflected in the cove. 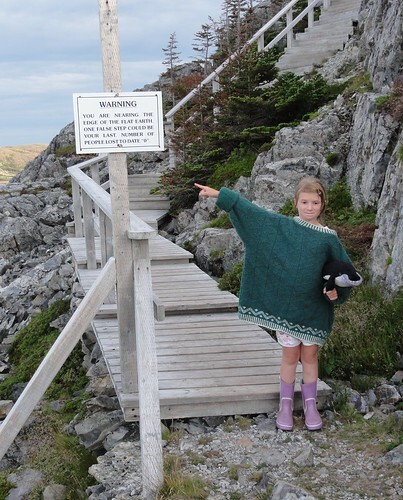 Our intention had originally been to poke around Fogo Island, check out a few other communities and hike some of the trails, but we were thwarted by rain. Just as we set foot to the hiking trail, the heavens opened and the temperature plummeted. We checked the forecast and discovered that it was not likely to improve any time soon, so we opted to drive down to the ferry terminal and start wending our way back to St. John’s. This is when we made two other discoveries about Fogo. Firstly, it takes a long time to get OFF the island and you must allow for this and have a flexible plan or you will go mad. The line-ups start early and it is not unheard of to have to leave your car sitting in line for three or more hours. Your car in line is your reservation; they don’t hold spaces. We didn’t make the first crossing and opted to leave our car in line for the next one (a hazardous goods run) two hours later. We were glad we did, as the line-up behind us by the time we left was startling. Most of those cars were destined to leave on a much later crossing and some would have been waiting for 5 or 6 hours. Secondly, near the ferry terminal is a neat little hotel called the Quiet Cannon that serves a very nice breakfast and good coffee. They accept Interac and credit cards and are open on Sunday mornings. We passed some of our wait there. There is really nothing else to do within walking distance of the ferry. There is a terminal with chairs, washroom, water cooler and phone, but that’s it. 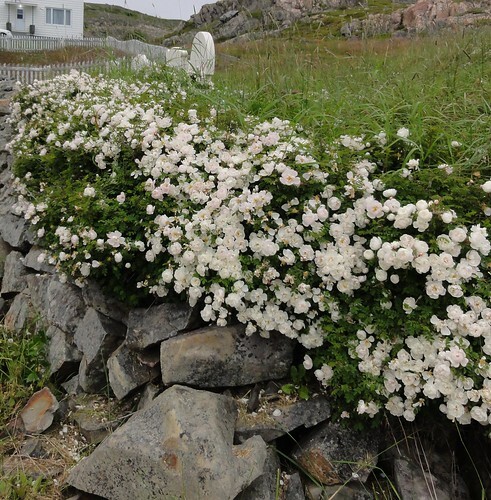 Photo credit: Fogo Island Arts Corporation. Click this photo to learn more about who they are, what they are doing and where they're hoping this vision will lead them. 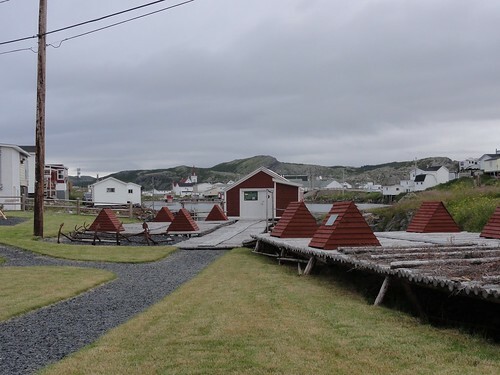 Our visit to Fogo was tantalizingly short and made us realize that we still have much to see of this neat little area. 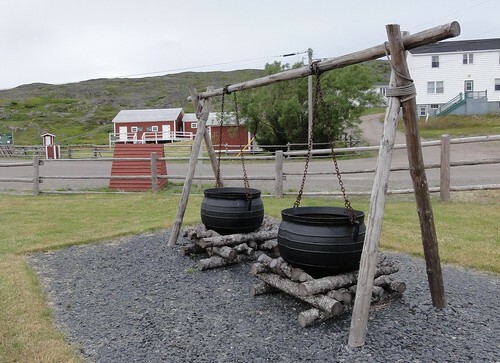 We spotted a couple of the Fogo Island Arts Corporation artists’ retreats (Note: I’m still of two minds about these. They’re certainly dramatic, but whether they’re a place I’d want to work and whether they improve the landscape or detract from it are still open questions in my mind) as we went along and didn’t have time to stop and gawk. There were also some craft stores and artists’ collectives that I would have enjoyed, but they weren’t open on Sunday morning. We’ll be back though, with more time (and that on weekdays!). Next Post The family that slays together…. 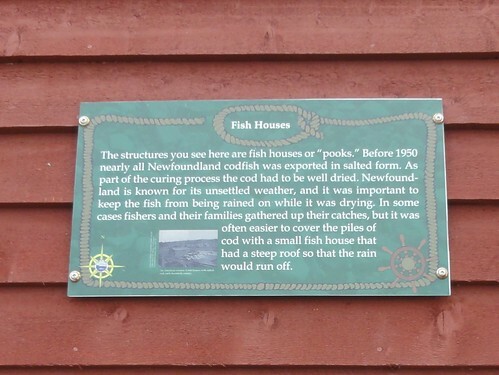 Just happened upon your site as I was trying to sort out our trip to Newfoundland this summer. Thank you SO much for this post. In a matter of moments we have our Fogo Island trip sorted!